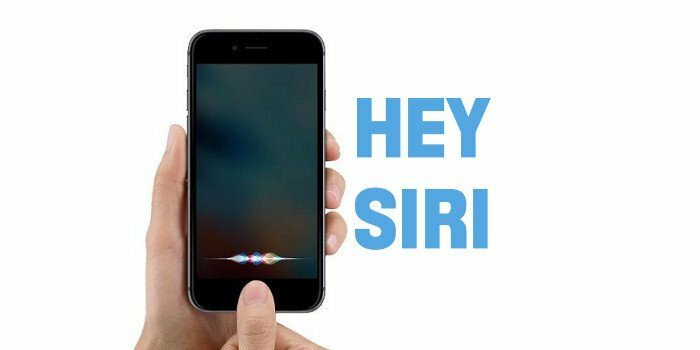 Be it Siri, Google voice search or Cortana, voice search is becoming widely popular, no matter the platform. According to a study by Hitwise, about 60 percent of searches are now executed on a mobile device. With a dominant number of searches happening on mobile devices, people are finding that it’s often easier to employ voice searches instead of typing on small screens. The question for brands to ask themselves is – is your website compatible with voice search? According to the 2016 Internet trends report, voice search is gaining significant market share. 1 in 5 Android searches in the US are voice searches and 25% of searches executed on the Windows taskbar are voice searches. Let us look at how you can optimize your content for voice search. Ever since search engines were introduced, users have understood how to enter specific keywords to find information. Unlike search keywords typed on a keypad, voice search is a lot more conversational in tone and natural. Typically, voice search is mobile and often tends to be locally focused. Given that voice search queries are more conversational, they are also generally longer than the typical keyword searches done via text. See chart below. According to studies done as part of the 2016 Internet trends report, people are employing voice search for a variety of purposes. Around 22% are searching for local information and content, about 27% are using the personal assistant capability and approximately 30% are looking for general information. Clearly, local businesses need to start tailoring their strategy for local voice search. 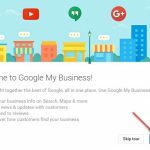 Claiming a Google My business listing is a fantastic way for Google to get more information on your business, such as address, business hours, phone number, category of business that you are in and more information. Given the fact that many voice searches are for local information, having the Google My Business listing up to date can greatly help your chances of being listed whenever a voice search is executed with regards to location, local business or business categories. Keywords in the voice search domain are not just keywords, they are long tail plus. Meaning the keywords include conversational phrases that get added when optimizing for voice search. Your keyword strategy should now be conversational by nature and mimic how people actually ask questions verbally. Have a look at the kind of questions that customers ask you on the phone, record the exact words, document them and use them as part of your strategy. Once you have lists of actual questions and answers, you can ensure your content pages focus on more conversational, longer search terms. One good way in which the earlier mentioned customer data can be used is to create FAQ pages which focus on those conversational + long tail keyword based phrases. You should try to group the common questions in one page. When you are wording the questions, try and go for the long tail, natural sounding phrases and questions rather than the cryptic SEO-style questions and phrases. If the need is for you to create multiple pages so that voice search can get to it, by all means, go for it. Also, look to anticipate more specific questions from users with regards to voice search. For instance, searches like “canon camera” are too broad and not relevant enough. Instead searches like “where can we get a canon camera that works well with Periscope?” are becoming the norm. Offer clear, relevant answers to the questions. With Google now directly driving answers, ensure that you provide answers to most of the questions that can be asked regarding your company, products and services. While initially it may seem overwhelming to have to create so many individual pages and short answer pages around so many questions, ultimately it would pay off because your chances of showing up in voice search go up. Also, this can increase your content’s chances of being listed as a “featured snippet” in Google. Use structured data schema to give the voice search technology components more information about your content and site. By using structured data schema, you make it easy for search engines to correctly parse and interpret your content. Your technology should understand human language and be able to understand intelligent conversation. There are several AI oriented APIs such as API.AI which can be useful in building conversational link ups for smart home equipment, chatbots and wearables. Such APIs leverage speech to text, AI and Natural language processing. You can also use the Web speech API to implement Voice search and convert spoken words to text. Conventionally, SEO has focused on ensuring that content is searchable by search engines. With the ongoing evolution of voice search, similar attention is needed to ensure that content is ready for voice search too.